Tarleton State University’s International Programs hosted an event on Monday, Feb.8, in celebration of the Chinese New Year. It was celebrated with traditional Chinese foods, music, lessons on traditions and a live monkey. There was a turnout of 115 people. Red accents were hung all over the room to symbolize the tradition of bringing good luck during the Chinese New Year celebration. This year is the Year of the Monkey, according to Chinese zodiac. In Chinese zodiac, the twelve signs rotate, and the Year of the Monkey is the ninth block of the rotation. Other Years of the Monkey include 1956, 1968, 1980, 1992 and 2004. The celebration in the Barry B. Thompson Student Center for Chinese New Year included multiple Chinese cultural icons. The room was decorated with red lanterns and red tablecloths; the color red is considered good luck in Chinese and other Asian cultures. Another tradition incorporated at the event was the exchange of money. There were envelopes upon entry to the event that attendees were asked to take. The envelopes had fake money inside of them to symbolize the traditional exchange. In Asian cultures, the seniors traditionally give their children and grandchildren money. 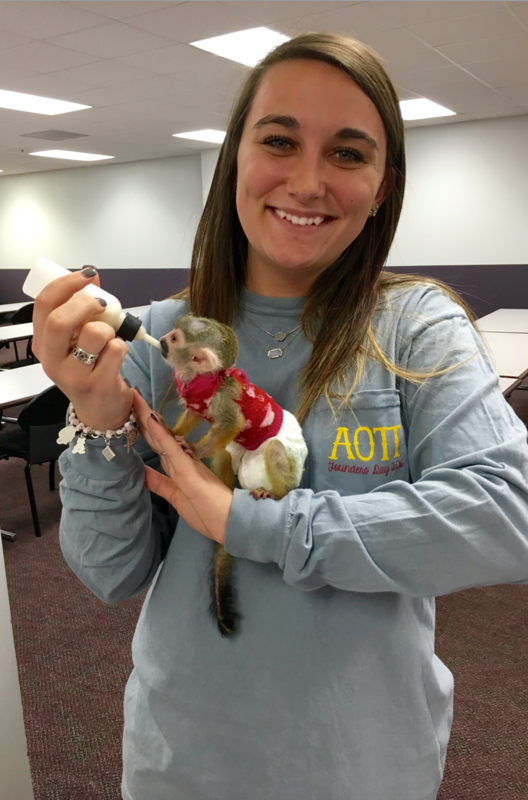 Elizabeth Tench, one of the event’s attendees, was able to handle and feed the monkey from a bottle. The two professors also agreed that calling it the “Lunar New Year” would have helped to incorporate into the event all of the Asian cultures that celebrate. “There are many East Asians that celebrate Lunar New Years, not just Chinese,” said Seulgi Lee. Both professors said they were surprised by the effort to incorporate their culture in America and were excited to have another year to celebrate. 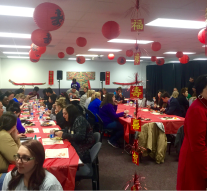 Jaymie Kingchatchaval, a Tarleton student native to Thailand participating in the event, said that the food at the event was very similar to foods traditionally eaten at Lunar New Year events in Asia but not completely accurate. “The food we have here today is different from traditional Chinese food, because this is ‘Americanized’ Chinese food. We eat dumplings and sweet red beans and other things like that,” said Kingchatchaval. Tarleton International Programs invited Wild Things Zoofari out of Austin to the Chinese New Year celebration. They had a live monkey there to celebrate the Year of the Monkey. Students and other attendees were able to pet and hold the monkey. 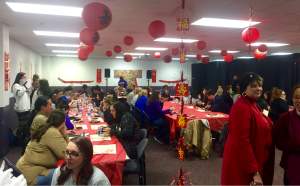 “This was a really cool experience, and I’m glad I could enjoy another culture’s celebration and see the similarities and differences between our New Years,” said Elizabeth Tench, a student who participated in the Chinese New Year event. The Year of the Monkey continues until Jan. 27, 2017.